Workers with disabilities compose a substantial chunk of the national workforce. The most recent data from the Bureau of Labor Statistics shows that the U.S. has more than 26 million workers aged 16 and over who have disabilities. And while all applicants must prove their abilities in order to receive a job offer, candidates with disabilities have to work even harder in gaining the confidence of an employer. And though this sub-section of workers is legally protected from being discriminated against, the negative perceptions of workers with disabilities continue to affect hiring decisions around the country. 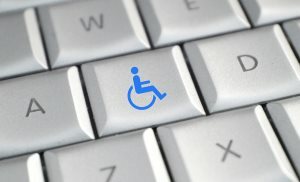 Sarah Laugtug, executive editor of ILiveWithDisability.com, says, “Probably the number one misconception employers have about hiring people with disabilities is that the job candidate will be incompetent. This is a common concern employers have in hiring any employee, but seems more common in interviewing individuals with physical disabilities. Including disability-related information on a job application or résumé; talking about [a] disability or health complications in interviews; and inadequately explaining reasons for absenteeism can be detrimental to the hiring of the employee, raising red flags for employers,” she said. The primary way to overcoming deep-seated prejudices in the job marketplace is to prove your worth as an employee, but the first part of this process is partially beyond your control. First, employers must reconcile their preconceived notions about workers with disabilities with your skills and abilities as a qualified candidate. And though this is largely a personal journey for the employer, you can help in their transformation by being a source of education on your precise disability, how it does and does not affect your capabilities, the reasoning behind any necessary accommodations, and your value as an employee. But while the workplace is slowly changing to a place where disabilities are not cause for immediate hesitation, there is a long way to go. Workers with disabilities are more likely to be dismissed for mistakes over which other employees may only receive a warning. Reasons can range from disheveled appearance to simple mechanical mistakes to an employee’s display of self-doubt and lack of confidence in his or her ability to adequately perform a job. But by acting confident and self-assured, you can work to dispel these doubts before they become egregious enough to force a dismissal.